How to Beat Resume Screening Software and Get Hired! Whether we like it or not, applicant tracking systems, resume screening software and hiring solutions are here to stay. Why? Because hiring systems save time and money while increasing recruiter productivity and overall recruitment efficiency for employers, particularly those employers and multinational corporations with complex, global recruitment workflows. Hiring technology also enables employers to quickly weed-out the unqualified and build pre-qualified talent pools for future hires. Corporate recruiters and HR professionals develop and maintain communication with preferred, high-valued candidates within their resume database systems to reduce time to hire and cost per hire. You can see the benefits now to employers and why these systems are key to your success in landing interviews and getting the job you want. As the Founder & President of Talcura Corporation, a leading Talent Management Software Company, I can tell you with absolute certainty that most companies today use hiring software as part of their recruitment strategy to source qualified candidates to fill open positions, reduce time to hire and overall recruitment cost. In particular, large multinational/global companies with multiple subsidiaries, brands, locations and divisions implement these systems not only to source ideal candidates and reduce cost—but also to streamline and unify their hiring processes, drive consistency in recruitment best practices and brand their companies as “employer of choice”. Moreover, these systems are designed to capture, measure and deliver a wide range of HR metrics, enabling company-wide talent visibility, workforce planning and effective talent management to meet organizational strategies and operational goals and objectives. 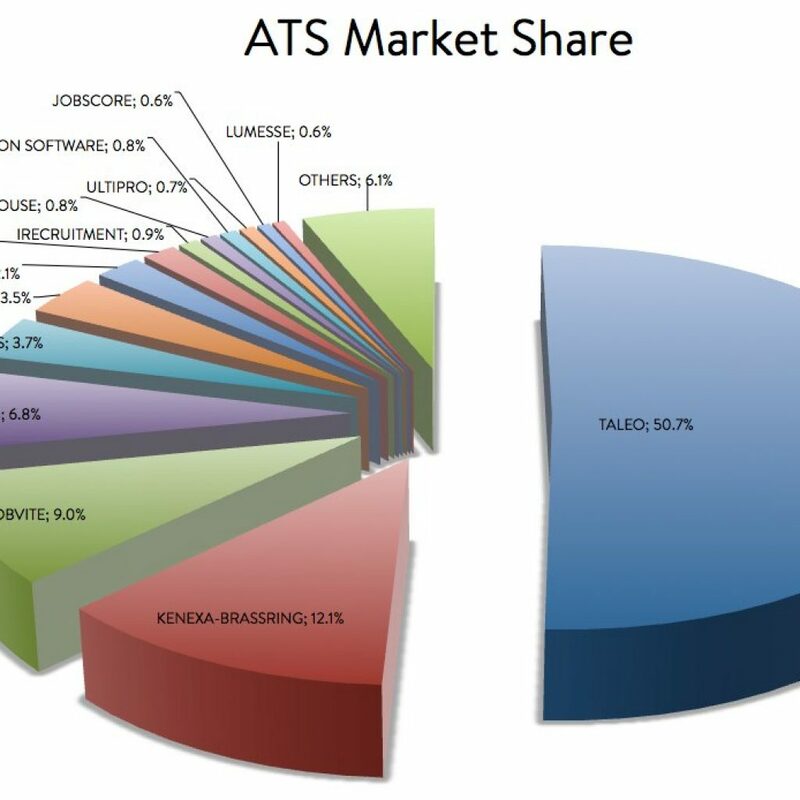 If you have applied for jobs online within the last five years, most likely you have uploaded your resume into the employer’s applicant tracking system or talent management software powered by recruitment solutions vendors such as Taleo/Oracle, HRSmart, Talent Technology, Jobvite, Brassring/IBM, iCIMS, and SAP/SuccessFactors, Skilkroad, and PeopleClick. These vendors combined powered most of the career sites on the Internet—distributing tens of thousands of jobs every day, processing job requisitions and filtering millions of resumes for top employers across the world. Consider this statistic from Taleo; it processed 15% of U.S. hires in 2011 through its recruiting solution. That translates into millions of jobs posted by leading employers in 2011. Taleo alone powers over 50% of employers’ career sites and half of the Fortune 100 career sites. Recruiters and hiring managers post over 250,000 new job openings per month and manage candidates throughout the recruitment workflow (from candidate sourcing to hire) within these systems. So if you really want to get hired by a large employer or any other company that is using an applicant tracking or hiring system, take the time to learn how to maneuver through these systems to get results—job interviews and subsequently, an offer of employment. So, how can you really beat the applicant tracking system and land your next job sooner? If you have created a candidate profile and uploaded your resume on the employer career site, a quick trick to getting your resume seen/flagged for other job openings is to update your resume on the employee system frequently. Build a “Master Keyword Resume” including all skill-sets, experience, abilities, education, accomplishments, knowledge, training, industry terminologies, business jargons, buzzwords and phrases relevant to your profession/career field and the types of jobs you are targeting. Refer to the Master Keyword Resume for content each time you need to target your resume for a particular job. This makes customizing your resume easy, fast, effective and relevant to the job you are applying for. Add non-skills related keywords such as postal code, zip codes, phone number with area code, city, state and province on your resume, because many recruiters search their database using these criteria to find candidates closer to the work location. Some systems parse resumes and display specific information such as employment, education, name, contact info, date and job titles at a glance. Ensure that you have the relevant job titles under your employment experience, aligning with the job you are applying for. Recruiters may sort resumes by job title or area of work and only review resumes the system returns as good match, usually a score of 80% and greater. Compile a list of employers you would like to work for and register for future opportunities on their career sites and check the box on the registration form to receive emails. Often, the system will email jobs as they come available to candidates within the database. Most recruiting systems have built-in email application which can be found within your account; use it to communicate with the recruiter or HR coordinator responsible for managing the recruitment/candidate workflow. Connecting with recruiters and maintaining relationships via these systems can yield better results for you, faster. Maintain multiple versions of your resume within your account for quick and easy access so you can apply for jobs as soon as they are posted. Refresh your resume frequently because some recruiters search on a date range (e.g. last 10, 30, 60 or 90 days). Use the names of competitors of the company you are applying to on your resume (e.g. Bell and Rogers, RBC and Scotiabank). Companies generally like to hire candidates with a competitive understanding of their industry. Login frequently to check your account because some communications may be sent to your account rather than your personal email. Select your availability for work upon sign up (immediately, within 30 or 60 days). Opt in for the company newsletter, this will give you inside scoop on new product launch, services, or other initiatives which you can then use on your resume or cover letter to emphasize your interest in the company and knowledge of its business activities. This will definitely give you an edge over the competition. Millions of Jobs and Hires are processed through ATS every year by Top Employers!